Two of your colleagues in Ghana have won the hearts of their team and have received awards to acknowledge their hard work. John Eshun, GSS Ghana’s Data Controller was one of the employees rewarded for all his hard work towards ensuring that all remote sites are kept updated on their Vision Training and input. Elisha Amankwah was also recognised for all his hard work in ensuring that all personnel files were updated and in order, which led to a successful outcome during our IMS audit. GSS Ghana are proud of these two who embody our WH values! 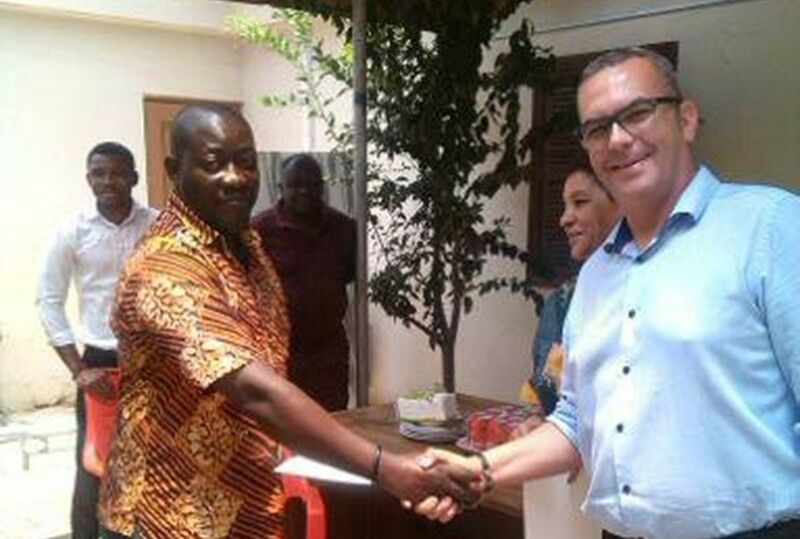 This month wasn’t only an opportunity to recognise and celebrate hard work, but GSS Ghana also welcomed HR CS&S Manager, Greg White. Whilst Greg was in Ghana he made sure that all employees were updated on recent changes in HR, as well as all corporate matters. The team are truly grateful to be kept up to date with information and cannot wait to welcome more employees for a visit to our operations.